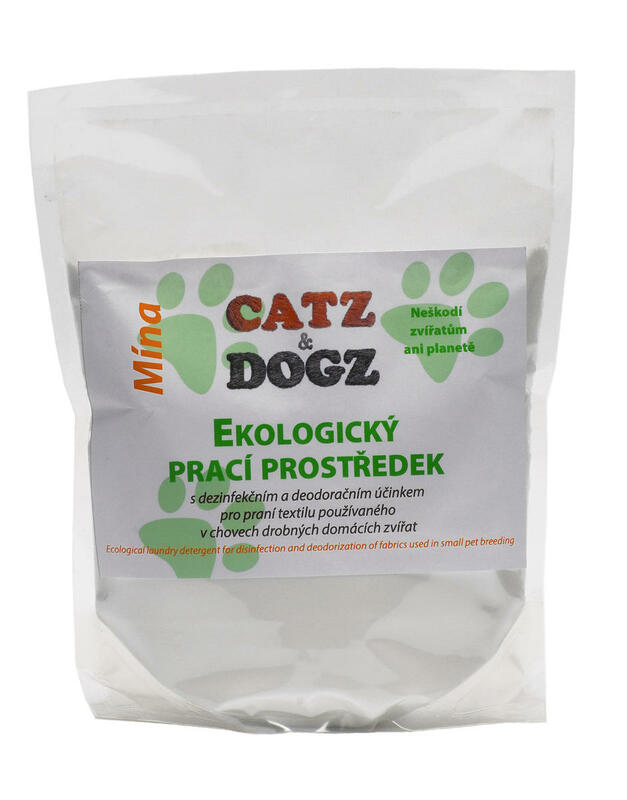 Gentle detergent for breeders with disinfecting and deodorizing effect, suitable for washing textiles such as bed linen, collars, blankets, leashes or dog clothes. It is well washed out of the fibers, so that textiles do not leave remnants of detergent that would irritate the animal's skin, cause allergies or unpleasant smells. Dosage: For one wash dose, use about half a cup (100 g) of powder. With strong dirt or odor, we recommend increasing the dose to double or soaking the fabric before washing. Soaking: When washing heavily soiled or scorching fabrics, it is advisable to wet the fabric first. Choose the water temperature according to the type of fabric - the warmer the water, the more effective the dirt and odors dissolve. In the soaking bath, dissolve about half a cup (100 g) of powder per 10 liters of water, insert the fabric and let it work best overnight. Then pour the water and follow the instructions. Washing: Wash at minimal temperature of 40 °C according to the type of fabric. Contains: > 30% sodium bicarbonate,> 30% sodium percarbonate, < 5 % natural tea-tree + lemon oil (contains perfume: d-dimonene, pin-2 (10)-ene). Subject * Product inquiry MINA – laundry detergent for breeders RMA Misc.